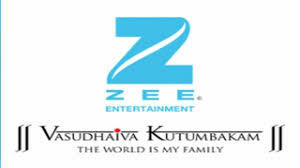 Zee Entertainment Enterprises' reported 31.27% rise in consolidated net profit to Rs 325.88 crore on 11.1% rise in total income to Rs 1823.54 crore in Q1 June 2018 over Q1 June 2017. The announcement was made after market hours yesterday, 17 July 2018. Rallis India reported 20.62% rise in consolidated net profit to Rs 54.58 crore on 29.49% rise in total income to Rs 578.01 crore in Q1 June 2018 over Q1 June 2017. The announcement was made after market hours yesterday, 17 July 2018. CRISIL reported 14.69% rise in consolidated net profit to Rs 77.13 crore on 9.05% rise in total income to Rs 453.41 crore in Q2 June 2018 over Q2 June 2017.  The announcement was made after market hours yesterday, 17 July 2018.
nnouncement was made after market hours yesterday, 17 July 2018. Ultratech Cement will announce April-June 2018 earnings today, 18 July 2018. PNC Infratech informed signing of concession agreement on 16 July 2018 between National Highways Authority of India and PNC Challakere (Karnataka) Highways Private [Special Purpose Vehicle] incorporated for implementation of project of Four Laning of Challakere to Hariyur section of NH 150 A, in Karnataka on Hybrid Annuity Mode. The announcement was made after market hours yesterday, 17 July 2018.